This gets off to a good start. 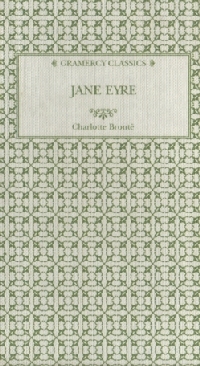 She borrows some stuff from her contemporary Dickens to pull at your heartstrings on the way in; the forlorn and maltreated orphan, the harsh and bitter surroundings, and the story levels out on the plateau of life with Mr Rochester. But, like Jane herself, Rochester has tried hard to cover the tracks that lead to his past. She’s devoid of known relations, he can’t rid himself of known relations. This comes to a climax, Bronte-esque in a church, and throughout the novel there’s a repeated use of Christian imagery to balance the darker side of human nature. The prime example of this is the character St. John. But his appearance in the last quarter of the book and the sudden intensity of his relationship with Jane seems to be like a bit of a tacked-on afterthought. In fact, the main weakness of this work for me was that after settling on the plateau of life with Mr Rochester, the storytelling takes a nosedive. The loss of all upon the moors at Whitcross represents for me Charlotte’s utter loss as to where this story is going and what the point is. Jane contrives, and it is heavily contrived out of all the houses in the country, to visit just the right house at the right time. Here, she gathers herself back to normality until the story gets back on track again. Is this parallel between Jane’s lack of direction and her storyteller too much of a coincidence? For me, it could have been half as long, used half the characters and less melodrama and actually have been a very powerful work dealing with identity and love. I can’t make out whether it’s the immaturity of the genre or the writer that waters this work down. When I consider what Dickens was putting out at the same time as Bronte, I have to conclude that it’s the writer. Oh that gentleness! How far more potent is it than force. moreen: a strong fabric of wool, wool and cotton, or cotton with a plain glossy or moirÃ© finish. ewer: large jug or pitcher with a wide mouth. Amen: even so come Lord Jesus! This is one of my favorite books from being a kid. I used to read it every summer, from middle school through college. Maybe I outgrew it? But you have a point about the immaturity of the genre. So many people read it and say it seems like a bad copy of itself. I’ll be back for Atlas Shrugged, I promise, but I’m off to work right now! Hi, great review of the book! Though I wished you liked it more like how I like it. To me, the book is basically flawless. Well, almost all books I read are almost flawless!